Italian art director Roberto Vergati Santos imagines a dark future where our favorite superheroes are sponsored by different companies. 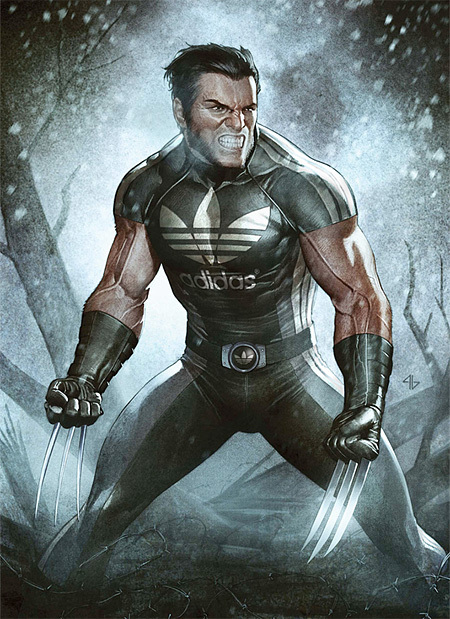 The next level of marketing and product placement: Popular characters in comic books and movies are covered in logos of companies and brands. 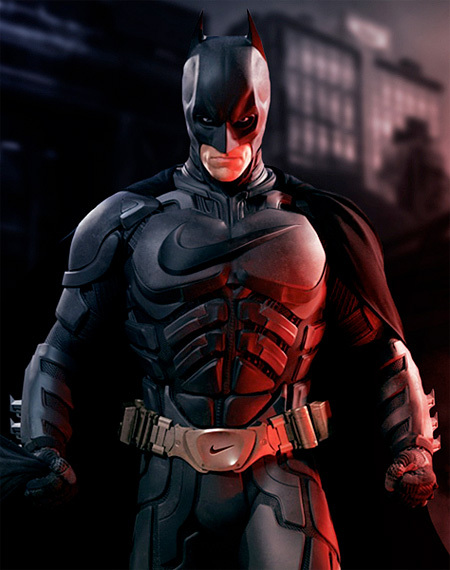 Batman, Wolverine, Captain America, and the rest of the Avengers team endorse products from Nike, Monster, Coca-Cola, Red Bull, McDonald’s, Adidas, Burger King, and UPS. 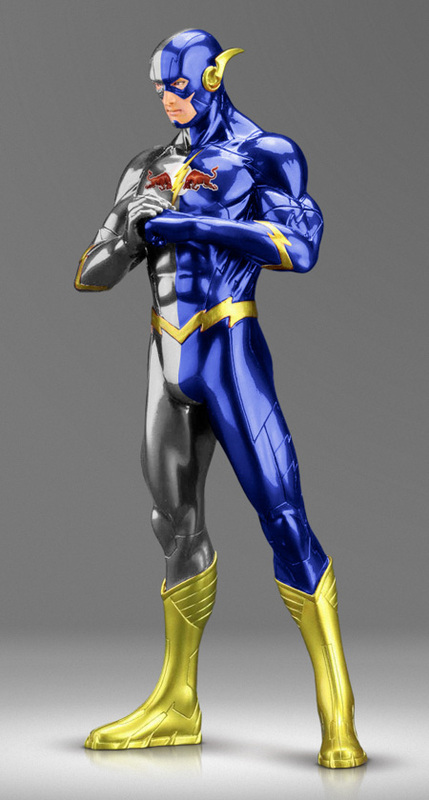 Is this the future of superheroes? 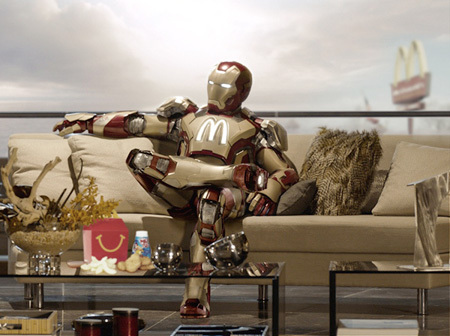 Fail to see the difference between these and the corporate sponsorship of their respective movies. Almost seems redundant to point it out at this point. He did this as a joke but it’s probably around the corner -sad. Sad. Sad. I’m with Joe on this one. At least it’s open and honest here, as opposed to subliminal in the movie (any brand of *anything* you see in the movie is a paid spot, otherwise the branding is hidden), or in your face in TV ads outside the movie. 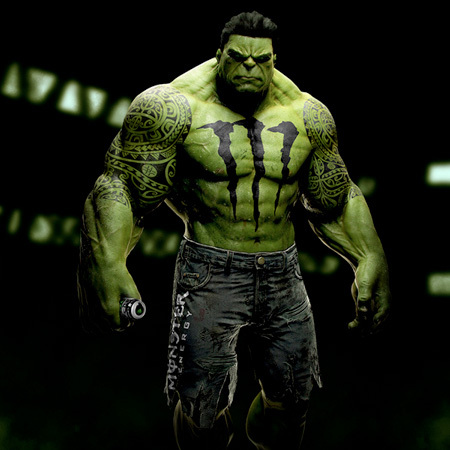 If you think someone drinking a can of Coke in the background of a movie makes people actually go buy Coke either you are silly or the person you are thinking of is. Arguably there are a whole bunch of dumb people in the world but a Taco Bell commercial works much better on my desire for tacos than ‘subliminal’ advertising does. Human minds just don’t work that way. Sorry. Advertisers would like to think they do but all studies show blatant in your face marketing always works better. Sounds like you’re in denial. We’re not talking classic subliminal advertising like flashing a word on a screen for a fraction of a second. We’re talking items on-camera for a significant portion of a scene. Placements have been proven to work. That’s why companies pay so much just to have their product show up in a film either in the foreground (so and so uses phone X so it must be cool) or just by putting it on screen in a way that you catch it, but don’t quite realize you did. It’s happening on TV, in movies, and also in video games. 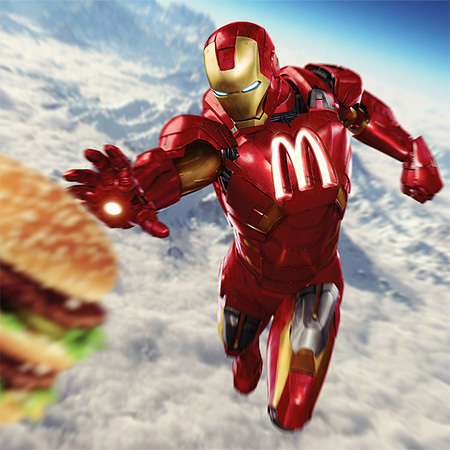 Iron Man prefers doughnuts than burgers as Nick Fury asked Iron Man (who was eating doughnuts) to exit the giant doughnut sign (Iron Man 2). 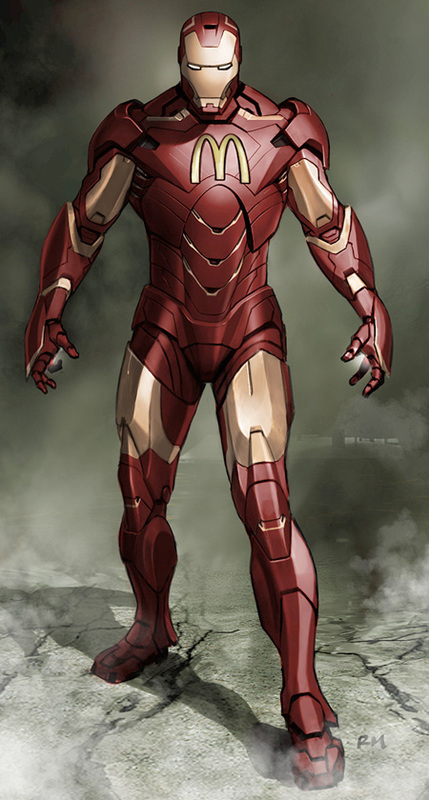 Iron Man shall retain the circular arc reactor on his chest, much better than the M shape. 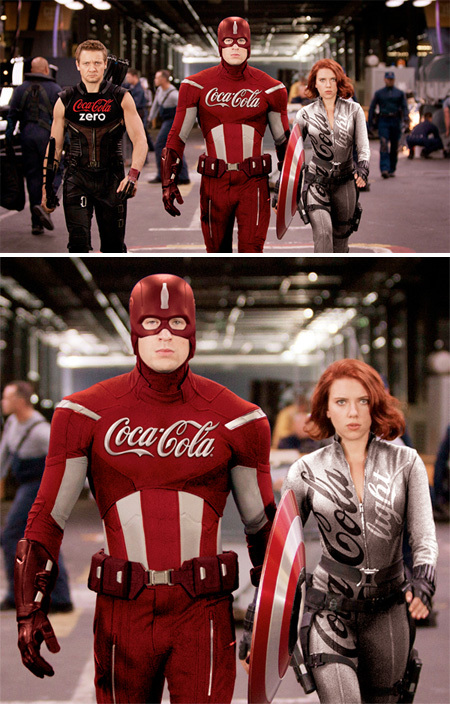 Captain America may prefer Pepsi (red, white, and blue) over Coke (red). 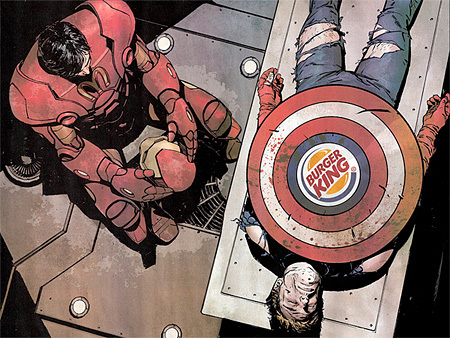 Captain A’s Burger King shield may do the trick. 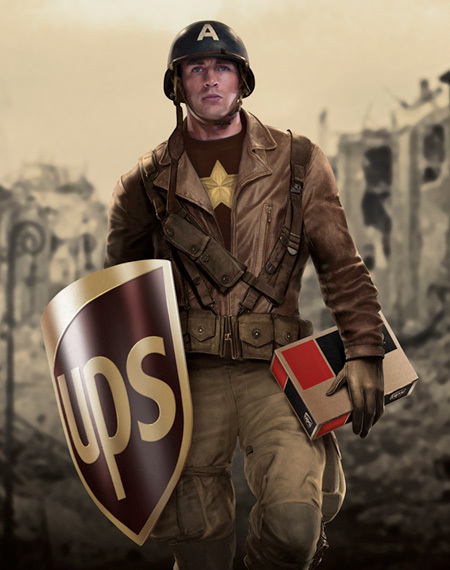 That UPS one is how they make deliveries in Detroit. They need a bulletproof shield to go there.